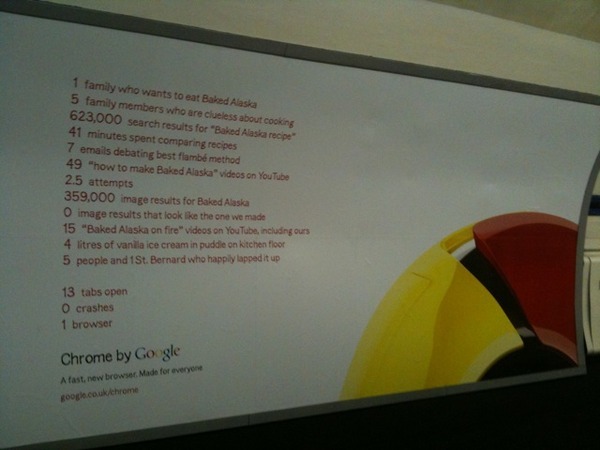 Here are few of the recent Google Chrome (offline) ads, which appeared in the UK. 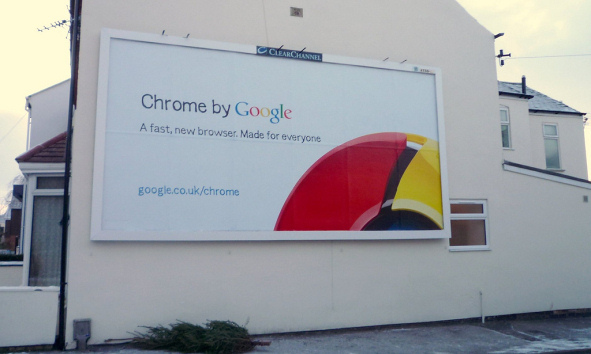 is it bad if google adverts their products over world? 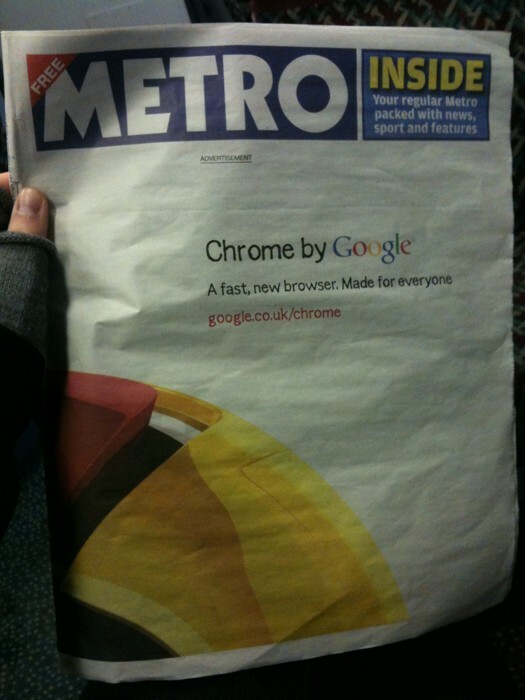 thats like MS taking advantage with IE, in future google shall rule the internet and world.